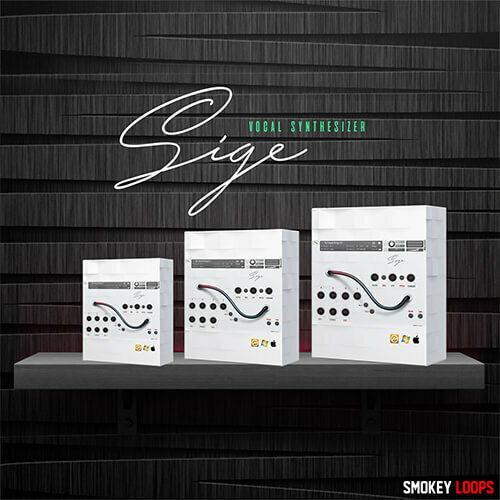 Smokey Loops is proud to present “SIGE Vocal Synthesizer” modern Vocal engine on KONTAKT. You will find 80 Vocal Drop Presets (.nki) unique vocal effects, for more musical genres: Trap, EDM, Deep House and much more. It’s a playable vocal engine built for producers, composers and sound designers. We designed “SIGE” for music producers looking for fast vocal sounds and quality. This library is unique and easy to play in all of your songs. GUI interface for NI KONTAKT composed by: Monophonic, Legato, Filter, LFO, Pitch, Random Pitch, Amp, Reverb.